WELCOME TO CAMP! everything you need to know about the best week of your summer! A Parent s Guide to Natural Remedies. Everything you need to know about treating your child s illness at home! Everything you need to know about remodeling. Everything you need to know about remodeling. Sometimes you just need a change. Maybe you need more space for a growing family. Or perhaps the look of your home could use a refresh. This is where remodeling comes in. While it may look fun on TV, it’s not as easy as it looks. Remodeling can be enjoyable and rewarding, but it can also be a stressful and expensive process if you’re not prepared. Don’t worry; we’re here to help. That’s why Washington Federal is “invested here.” We’ve put this eBook together in an effort to provide a great resource for people like you who are interested in remodeling, but may not know where to start. Chapter 1: Should I Move or Remodel? Before you start, the first thing to do is make sure that remodeling is your best choice. If you’re looking for a change, there are three basic options. You can remodel your current home, move to a new home or build a custom home. Why are you interested in remodeling? Can remodeling satisfy all the features you want in your home? If you remodel your home and complete everything on your list, will you be satisfied with the result? Buying a new home. In some cases, it may be easier to start over. Do some research online or contact a real estate agent to see if you can find a home that meets all of your needs. You may be surprised to find exactly what you’re looking for on the market. That convenience may be worth it to you. Larger kitchens include multiple sinks, an island, double ovens, more cabinet or counter space and room for bar stools so your guests can hang out while you play chef. Building a custom home. Another great option is to build a custom home. This gives you the flexibility to control most aspects of the home, from the lot and design to the fixtures and appliances. If building custom is something you’re interested in, check out our eBook on custom construction. Remodeling Perhaps you love your neighborhood or the architectural style of your home. Maybe the house has been in your family for a long time or you have great memories and don’t want to move. If the things you want are achievable with a remodel, then staying in your current home may be a great option. Keep reading if you fall into this category! Chapter 2: Determine Your Main Objectives. Once you’ve decided to move forward with a remodeling project, the next step is to determine your main objectives. First, decide whether you’re interested in remodeling to make living in the home more enjoyable for you and your family, or if your primary concern is increasing resale value when the time comes to sell. If you want to stay in your house for years to come… If you are planning on living in your home for ten years or more, you may be interested in remodeling simply to increase the enjoyment you get from your home. If this is your plan, you will have more flexibility and freedom than someone that is looking to sell in a couple years. You won’t have to worry as much about the value, return on investment, or how potential buyers will react to your improvements. For example, white porcelain fixtures and neutral pain colors generally help support resale value. Even if you are planning on staying in your home for the foreseeable future, it is still a good idea to keep the resale value in the back of your mind as you’re making decisions about the project. Are you making any changes that might dissuade a future buyer from wanting your home? Create more space. Sometimes you just need more space. Renovations that add more space to your home can make some of the most dramatic changes to the way you and your family enjoy your house. One way to do this is to convert an unusual space or room into something else. Some of the most common examples include converting unfinished garages, attics or basements into functional spaces like an extra bedroom, home office or family room that is integrated into the rest of your home’s layout. Another way you can create more space in your home is to knock down a few walls. Open floor plans have become increasingly popular over the last few decades. Knocking down some of the walls that connect your living room, dining room, and kitchen can create a roomier “great room” space. Of course, you will need to determine whether the walls are load bearing and there aren’t any important electrical wires or plumbing inside that may be difficult or expensive to move. A third way to add space to your home is to build an addition. This involves tearing down exterior walls and increasing the size of your home by adding new rooms onto the existing structure. Update. There are many reasons why you might want to update your home. One of the most common reasons is a change in taste or style. Every decade has its own look. The 1970s were known for yellows and “Mod” styles. The 80s were full of neon lights, glass, brick and teal and salmon-colored walls. The 90s had lots of cream-colored appliances and brass door hardware. None of these styles are very popular today. Regardless of your home’s age or architectural style, you can always update it. Simple things like fresh paint, new flooring and modern fixtures can make a big difference. Another reason you may want to update your home is energy efficiency. Products are getting more energy efficient every year. Replacing your windows and doors, getting better insulation, and installing a new heating and cooling system can save a lot of money in the long run. Upgrade. Moving on up! Life is about more than “stuff,” but you work hard to earn a living and sometimes it’s nice to reward yourself. Your home is where your family spends time together and where you keep all of your personal belongings. What better way to spend your hard-earned money than to build a brand new deck to hang out on or to turn that unfinished basement into a new bonus room? Increase the resale value. For some, this may be the whole point to remodeling! Some updates and renovation projects will add significant value to your home and make it easier to sell. Talk to a local real estate agent to determine which features add the most value to homes in your neighborhood. If you’re looking to remodel primarily to add value to your home, you should always keep your neighbors in mind. Your home should still be in an appropriate price range in comparison to the rest of the neighborhood. The best thing to do here is to start small. Replace outdated fixtures and put on a fresh coat of paint. Determine where you can have the most impact with the least effort and experience. Which projects add the most value? Keeping it simple is the way to go. Replacing old windows and doors are usually a good idea as they increase energy efficiency. Adding a deck or remodeling the kitchen are core improvements that everyone can appreciate and will make your home more appealing to a potential buyer. Here is a list of some remodeling projects that give the best return on investment. Chapter 3: Focus on the Big Picture. Remodeling can sometimes feel like an endless series of decisions. At times it’s easy to get caught up in all of the details and forget about the big picture. It’s important that your remodeling decisions are logical, timely, and meet all of your objectives. The Problem The temperature in your home isn’t balanced. If it’s hot upstairs, it’s cold downstairs. Your energy bills are too high because you’re always trying to adjust the temperature to whichever room you are in at the time. Lifestyle Objective Your ultimate objective in this situation is to achieve energy efficiency. You want to get your energy bills down and be comfortable in your home without constantly adjusting your thermostat. The Solution Call your local Home Builders Association (HBA). This is an educational non-profit that will know about current energy efficient home-building practices. They can suggest someone who will conduct an energy audit to help you determine where you’re losing energy. The most common places for this to occur are your windows, ducts and basement/attics. Replacing your windows and doors with new, energy efficient windows and doors will help. Finding ways to patch the leaks with better insulation will also make a difference. You may want to look at a new climate control system for your home. Plan the space. Once you have your lifestyle objectives nailed down, the next step is to plan the space. It can be tempting to just jump right in and start picking materials and colors. Resist this urge. If you get too far ahead of yourself, these details can serve as distractions from what you’re really trying to achieve. How will you use the room? The best way to start planning is to think about how you and your family will use the finished space. Thinking about remodeling your master bathroom? Imagine what a typical morning routine would look like in the finished space. Will you and your spouse both be able to prepare for the day without getting in each other’s way? Where are the friction points now? How can you fix them? Are you thinking about converting your garage? Do you have enough space in your driveway for all of your family members’ cars? Is there somewhere else where you can store your lawnmower? Get inspired. You’ve probably already spent a considerable amount of time looking through magazines and watching home makeover shows for inspiration. One great way to get new ideas is to use Pinterest. You can follow friends, designers and brands for a never-ending source of great ideas. If you haven’t been doing your homework, now is the time to start. Here are some great resources to get you started. Chapter 4: DIY vs. Hiring an Expert. Now it’s time to make the most important decision in the entire remodeling process. Do you take on this project on your own or do you hire a contractor? According to the National Association of Home Builders (NAHB), more than 30% of all jobs home remodelers perform come from failed do-it-yourself (DIY) projects. Before you decide to take on the project by yourself, be sure to think it through. Here are some questions to ask yourself: • Have I ever done anything like this before? • Do I know all of the potential roadblocks and hidden costs that could arise during the course of this project? • Am I familiar with the current building codes and permits that I will need? • Do I know what safety precautions I need to take in order to create a work environment that is safe for my family and myself? • Do I have the necessary skills to perform this job? • Do I have the time to dedicate to this project? If you aren’t sure that you want to take on the project on your own, hiring a contractor is probably the best way to go. A good contractor will be in charge of all aspects of the project, including permits, budget and timeline. Hire a contractor. For large remodeling projects, hiring a contractor maybe one of the best decisions you can make. A really good contractor will walk you through the entire process and will care as much about the outcome of the project as you and your family do. your list to a few and discuss your project with each of them. Make sure you get along and would trust them running the daily operations of the project within your home. Confirm that they have workers’ compensation and general liability insurance. Get a list of references from each prospect and call them to ask about their experience. Build confidence before you sign anything. You should never feel pressured to rush into signing any paperwork. Make sure that you feel confident about your choice of a contractor and the plan that you’ve laid out together. Be very detailed and specific when discussing the project plan and the budget. Set clear expectations and don’t assume anything. Get a detailed outline of the scope of the work ahead and ask lots of questions. Before you sign a contract, be sure that you understand all of the terms outlined in the agreement. Chapter 5: Set Your Budget. You’ve spent time watching home remodeling shows and thumbing through magazines. You have some great design ideas and are excited to dig in. Before choosing paint swatches, however, it’s a good idea to think realistically about your budget. Set yourself up for success by determining a budget early on. It can be easy to get caught up in the excitement of improvements and overstretch your wallet. Set an upper limit. Before you jump into specific costs, you need to determine your upper limit. This is the absolute maximum that you’re willing to spend on your remodeling project. Budgets and timelines have a funny tendency to change throughout the remodeling process. Be prepared by taking this into consideration upfront. A good rule of thumb is to cap your project’s budget at 80% of what you can afford. Save the other 20% for unexpected items that are sure to come up. Once you’ve decided on your overall budget, stand firm. Determine a rough budget. Once you have your limit set, the next step is to get specific. Make a list of all of the things you want to do in your home. Don’t forget to include any additional costs you may incur throughout the process as well. Did you decide to hire a contractor? Are you going to live in the house while it is renovated or are you going to stay in a hotel or apartment? Add everything up. This isn’t going to be completely accurate, but it’s a good place to start. Once you have an idea of what it’s going to cost, compare it to your overall budget limit. How does it stack up? If you are already over budget, it’s time to start thinking about setting priorities. “Wants” to prioritize: • Double sinks in the master bath so that you don’t have to share with your spouse • A home office • A new deck Once you have two lists, it becomes much easier to figure out which are the “must-have” projects and which you can live without. Start with your “needs” and move down the list. If you finish the list of “needs” and still have some budget left over, jump down to your “wants.” Start with the ones that will help you and your family achieve the most important lifestyle objectives that we discussed back in Chapter 3. Your contractor will be able to more accurately predict costs of materials and labor, as well as find tune the timeline. They will probably point out some things you hadn’t thought of before. You may even have to re-evaluate your priorities. Be flexible, but be sure to stay under your spending limit and leave yourself some wiggle room. Choose your materials. Quality and price of materials can vary greatly. It is important to determine where you want to splurge and where you can reasonably cut costs. Do you really need that solid oak hardwood flooring or could you get away with a nice laminate? Big box retail stores can have a smaller assortment of options. Visit local independent building suppliers or shop online for the best deals. If you hired a contractor, they may be able to suggest reliable suppliers within your budget. Get credit-approved. A credit-approval means that a lender is approving your ability to borrow up to a certain amount depending on factors like credit history and debt-to-income ratio. Make an appointment with a loan officer to go over your budget and ask any questions you may have about the different options for remodeling loans. At Washington Federal, our loan officers specialize in financing these types of projects. By getting credit-approved early in the remodeling process, you can feel confident that you have the resources necessary to complete the project. Chapter 6: Financing Your Remodeling Project. We know that your remodel is not just some project on one of those inspirational TV shows you’ve been watching. It’s your home. It’s a big undertaking and has surely taken a lot of time and effort to get to this point. At Washington Federal, we understand. We’ve been helping our neighbors like you buy, build and remodel their dream homes since 1917. If you choose Washington Federal to finance your remodeling project, you will be served by a dedicated branch manager. He or she will sit with you one-on-one, face-to-face and walk you through the different options to help you determine which one is best for you and your family. Our loan officers aren’t paid on commission, so we’re free to give you the personalized attention and customized advice you deserve, with no ulterior motives. To learn more about how we can help with your remodeling project, contact the Washington Federal branch manager nearest you, or call 800-324-9375. Consider options for financing a small remodeling project. Sometimes it’s best to start small. Here are a few good options to finance smaller projects, such as those limited to one room or a simple fixture or material upgrade like new flooring or appliances. Credit Cards For small weekend projects, consider using a credit card. You can use a low-interest card that you currently have or apply for a new one. Lots of cards offer a low introductory rate for a specified amount of time. Just be sure to pay off the balance in full before the introductory rate ends to avoid paying higher interest rates. Home Equity Line of Credit With a home equity line of credit (HELOC), you establish a maximum line of credit and then draw out only what you need. Cash-Back Refinancing If you have substantial home equity, Washington Federal offers both cash-back refinancing and first mortgages based on the tax-assessed value of your home. Options for Financing a Major Remodeling Project. If you’ve got major work planned, home equity loans are not always the best choice. Extensive remodeling can strip out the available equity in your home, especially if system upgrades or major structural work are in the plans. For major projects such as an addition or second story, an All-inOne Construction Remodeling Loan is the answer. All-in-One Construction Remodeling Loans Washington Federal’s All-in-One Construction Remodeling Loan is a home loan based on the estimated value of your home after the remodel. To determine that value up-front, we order an appraisal based on your plans for improvements. The entire project is underwritten at one time and you can lock in a permanent, fixed interest rate before you even start the project. Please note that rates can change daily. Subject to a lock-in deposit. During the remodeling project, you draw funds as work is done and make interest-only payments. Monthly draws from your total loan amount are released to you based on the percentage of completion. Washington Federal saves you time and money by doing our own site inspections and handling the draws right within your neighborhood branch. When the project is finished, the loan automatically converts to a standard mortgage. The mortgage is a fully amortizing loan with principal and interest payments spread over 30 years. We also offer a 15-year term option. For more information, contact your local Washington Federal branch or call us at 800-324-9375. Chapter 7: Getting a Remodeling Loan Approved. Here is a list of the items that we require in order to get a All-in-One Remodel Loan loan approved at Washington Federal. For more information about the process, visit our remodeling web page. We’ve broken everything down into categories, but we understand this process can still be overwhelming. If you bring your loan officer into the mix as early as possible, he or she will be able to help you make sure you have everything you need. Submit your plans and specifications. Your bank will require an appraisal to determine the exact value of the house and everything needed for the remodeling process. Finalized plans, cost breakdowns, and material specifications are required for this step. The total loan amount is then finalized. The appraised value is key to determining the final loan amount. The bank won’t lend more than a certain percentage of the home’s completed value, usually up to 80% of the appraised value or actual cost of construction, whichever is less. Includes foundation plan, floor plan and elevations. These will need to be signed and dated. Includes lot dimensions, setbacks, easements, adjoining roads, location of house, location of garage and, if applicable, location of septic system and well. 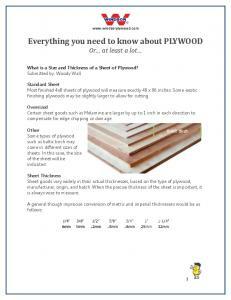 A detailed list of your materials and specifications. These will need to be signed and dated. Every cost associated with the build. Includes state sales tax, builders profit and overhead. Should match the cost breakdown exactly. These will need to be signed and dated. The appraisal must be completed before your loan can close, so you should gather the documents required to order an appraisal first. They can sometimes take a few weeks to get scheduled, so you will have plenty of time to prepare the rest of your documents before the loan is submitted for approval. Insurance provided by you, the borrower, to protect the dwelling while it’s under construction. The local city or county must issue this document allowing you to build on the property. They will require your building plans when you file for a permit. Prepare to close on your loan. Once your appraisal is complete and you’ve gathered the rest of the necessary documents, your loan is ready to be reviewed by the bank’s underwriter. After you receive final approval from your lender, you will need your building permit before you’re ready to close on the loan. During the closing, you and your lender will meet so you can sign documents, pay closing costs as well as any down payment, and schedule construction. Keep in mind you will need to be prepared to cover certain construction costs in the beginning until you quality for your first draw payment. Chapter 8: The Remodeling Process. While you can’t argue the beautiful results of a good home remodel, the construction process itself can get pretty messy at times. Your home is the worksite. If you decide to stay in the home during the process, know that your daily routines will be disrupted. Planning ahead will help you cope. Keep your home safe and as clean as possible. Keep work areas inaccessible to children and pets. Seal off doorways and cover furnishings in plastic to prevent dust from accumulating. Dust and debris in your air conditioning unit can cause some major problems. Change your air filters both before and after modeling. For longer projects, you may want to change filters a few times throughout, especially if there is any drywall work involved. Where can workers park? Do you have an alarm system? Discuss with your contractor about informing you when work will start so you can prepare to disable the system as necessary. Make arrangements for entering and exiting the house. Which areas of the house are off-limits to workers? Which bathroom should they use? Where will deliveries be received? Designating one entrance for this will help to alleviate confusion. How will you deal with trash removal and cleanup? Make sure expectations are set so that workers clean up after themselves as much as possible at the end of every day. Determine who your contractor should contact in the case of emergency or if they need someone to make a decision regarding the project. Be sure that you or your contractor document all paint colors and any other important materials you may need to remember in the future. Stay in the loop. No matter how much planning you do, unforeseen issues will arise. Remain calm and communicate clearly and effectively. Be flexible. Remodeling is often a process of discovery. However, making arbitrary changes to your plans mid-stream is the quickest way to bust your budget. Whenever possible, recap all important conversations through email so that you have a record to refer back to. Plan on having regular weekly or biweekly meetings with your contractor to get updates on progress and make sure the timeline and budget are both on track. Keep a running list, or ‘punch list,’ of the things that need to be done before you consider the project complete. Do not sign off on the project or make the final payment until everything on your list is complete and the work is up to your standards. Enjoy your new home! Congratulations! After all of your hard work, it’s finally time to enjoy your newly remodeled home. If you’ve financed with Washington Federal using our “All-in-One” loan, it will simply convert at this time to permanent financing and you will begin to make your normal amortizing mortgage payments. If you’re interested in getting started or learning more about the remodeling process, contact one of our neighborhood branch managers or call us at 800-324-9375. If you live in an area that we serve (Washington, Oregon, Idaho, Utah, Arizona, Nevada, New Mexico, or Texas), we’re more than happy to answer your questions and provide you with a no-obligation consultation. We know that taking on a remodeling project can be an all-consuming process. But for those who want to improve their home, whether to help your family reach their lifestyle objectives or to possibly add resale value, it is a fulfilling and rewarding process. At Washington Federal, we’re truly “invested here.” We hope you will choose us to help you make your family’s dreams come true. Report "Remodeling Your Home. Everything you need to know about remodeling"